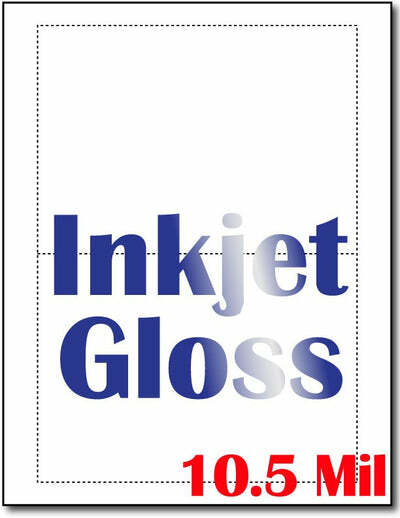 Our White 10.5 Mil Inkjet Gloss Postcards come on an 8 1/2" x 11" sheet and come 2 per page. Each postcard measures 5" X 7", and they can be used as either postcards or even invitations. These postcards are microperforated for easy breaking and cleaner edges. Made for Inkjet Printers only! Made from a 10.5 mil (230 gsm) Inkjet gloss cardstock. Glossy on 1 side, matte on the other. Both sides are printable.